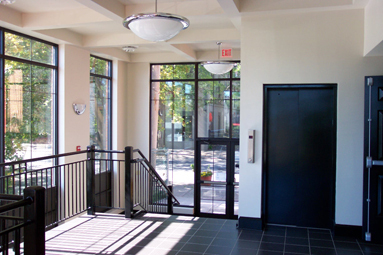 LIMITED USE / LIMITED APPLICATION (LU/LA) ELEVATORS: The new solution to providing accessibility in commercial buildings, this is a heavy-duty, fully enclosed small passenger elevator is permitted to travel up to 25’. 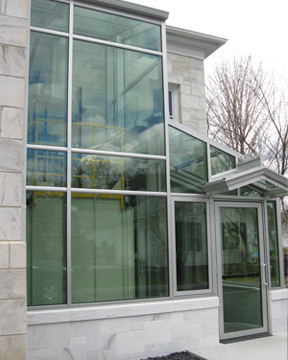 Designed for use in low-rise buildings comprising two to four floors, this elevator is rated for loads of up to 1400 lbs. 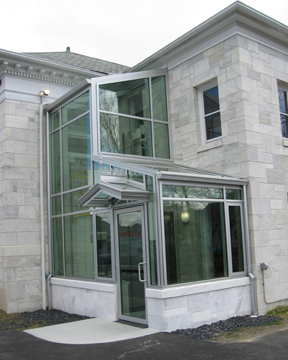 and features unique automatic sliding doors. 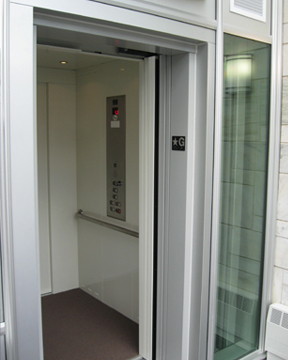 It's got all the features of a high-rise elevator but is suited for smaller budgets. 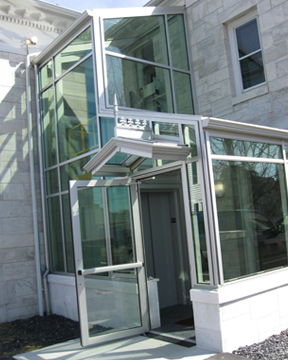 Ideal for buildings such as schools, town halls, office buildings, and churches, that need more than a wheelchair lift, but don’t warrant a full-size passenger elevator. Requires only a 14” pit, reduced overhead in existing buildings, reduced hoist way size, and can operate on single phase power. 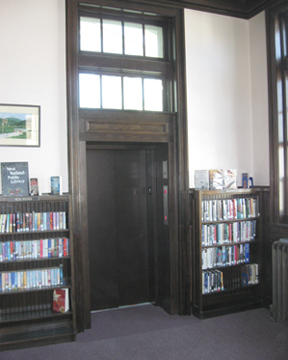 These elevators do not require firefighter’s service either (except in Maine). 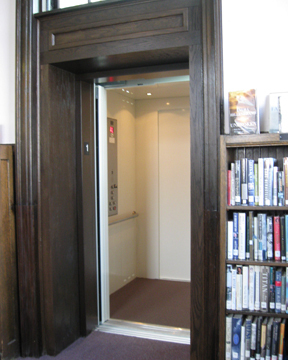 LU/LA elevators can be easily fitted into new or existing buildings. Click images to enlarge and shrink.